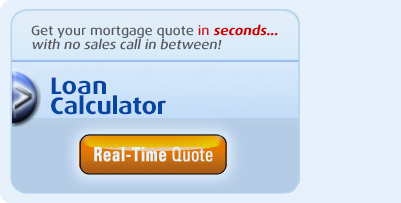 How Does the online mortgage calculator work? The mortgage calculator takes your personal qualifications and searches them through our extensive network of investors to find the very best rate. 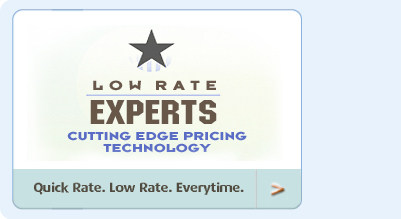 What we show you is the best rate available. This serves to help eliminate wasted time with calling a bunch of brokers and financial institutions. The calculator does all the shopping for you! If you want to make sure you are using it to find the very best rate call us and we can walk you through it 877-271-4212. We guarantee our rates to be the best with our Best Rate Guarantee! For more details click here. Can you help me understand the steps involved in the loan process? Check out our Credit Score page. How will you help me determine my long and short term financial goals and assist me in determining the “right” loan program and financing structure I should use? The Kal Financial Team will analyze your current financial picture, ask the right questions on what you are trying to accomplish now and in the future and then help set up a plan accordingly. They will advise what loan programs and structure would work best based on your long and short term goals. This is done at the preapproval appointment and reviewed once in contract or when locked. How will you help me understand the tax benefits of home financing for the future purchase of a home? The Kal Financial Team will determine your approximate tax write offs, net tax benefit and net effective payment to compare to your current mortgage payment or rent and will show you how to realize the benefit on a monthly basis. What is your process in assisting me so I can get my offers accepted? The Kal Financial Team does several things that include providing a preapproval in ms-word so at a moment’s notice you can modify the price of the preapproval to match any offer if purchasing below the pre-approved amount. They even call the listing agent on each offer to convey the buyers compensating factors and to differentiate your offer from everyone else’s. Lastly, they help coordinate short closings and “as is” offers with no contingencies where needed to get an accepted contract. What methodologies will you use to lock at the “right time” and what happens if rates drop? The Kal Financial Team uses many online subscriber based programs on when to lock or not lock, to ensure they lock at the right time and if rates drop. They also have strong relationships to renegotiate the rate with the lender at the lowest possible rate or just go with another bank since they are a broker with over 100 lending sources. How long have you worked with the Realtor that referred me and what is your track record for closing on time per the contract? The Kal Financial Team has worked with many real estate companies throughout the country and has closed over 3000 transactions in total with a 100% success rate. The Kal Financial Team has over 50 wholesale relationships has access to the best loan programs and lowest rates. They hold preferred statuses with many banks of their wholesale relationships. This ensures that you will receive the most competitive interest rates, lowest fees and access to every loan program available. How fast can you process and close my loan? The Kal Financial Team has his own team to quickly and efficiently process your loan, something not common with most banks or mortgage brokers. This ensures that your requests are done in a timely manner in the quickest and most efficient manner. The Kal Financial Team and its agents have been providing mortgage financing solutions to consumers and the Real Estate community for over 2 decades. • Access to over 50 Lenders, many with Preferred Relationships resulting in lower rates and fees. Do you provide personalized service? The Kal Financial Team brings over 20+ years of experience to the mortgage financing transaction, offering clients unsurpassed exemplary service, competitive rates and “out of the box” thinking. Their dedication and hard work yield customized mortgage solutions quickly and efficiently. Their mortgage planning services start with a detailed pre-qualification to determine your current needs and long term goals and loan options that apply to your situation, whether purchasing or refinancing. Start today with our online calculator or call us now at 877.271.4212. A conforming loan is a single family loan in the amount of $417,000 or less (effective 12/1/05). A Jumbo loan is any loan above $417,050 and up to $1,000,000. Any loan over $1,000,000 is considered a super jumbo. This is simply the month in which the first interest rate adjustment can take place. All adjustable and hybrids always have an index rate. The index is added to the loan’s margin in determining the future rate. This is the start rate for any loan. This rate can be fixed and/or adjustable and can change per the terms of the loan listed in the promissory note provided by the lender. This refers to the maximum interest rate adjustment possible on a loan. Loan to value, or LTV as it is commonly referred to, is the ratio of Loan Amount to the Value of a property. LTV considerations become important in several situations. When a property is purchased, the down payment is critical to the lending decision. When the down payment is less than 20%, i.e. the LTV is greater than 80%; a lender will generally require mortgage insurance. This requirement also means that the loan will usually require an additional level of approval, from a Private Mortgage Insurance Company. Mortgage insurance coverage, or PMI, is a premium or fee which is included in the monthly mortgage payment. It can range from .22% to almost 1% of the loan amount annually, with the exact coverage determined by the loan type, insurance company, and LTV. Mortgage insurance payments are not tax deductible. Mortgage insurance can be eliminated in certain cases. Ask your loan agent for these possible options. In a refinancing transaction, the ratio of loan amount to appraised value is taken into account in a similar way. Especially when a client wants to obtain cash out in a transaction, the typical rule is a maximum of 75% of the appraised value for the total loan amount including any cash out. There are lenders who will go beyond the 75% limitation; however the loan products and interest rates offered are generally not as competitive. Rate and term refinances, or borrowing the current loan amount plus applicable closing costs, can go up to 80% without requiring Mortgage Insurance. Again, at 80.01% or greater the new lender will demand mortgage insurance. Overall, the lower the ratio of the loan amount to the value appraised, the more favorably a lender views the risk of the loan. Loan to value (LTV) considerations also will differ in owner occupant versus rental or non-owner situations. The margin refers to the spread added to the loan’s index value. On hybrid loans such as the 5 year fixed, it is common to have a maximum first adjustment higher than the periodic cap. Max 1st adjustments can vary greatly and determine whether a particular loan is advantageous. On adjustable rate loans and hybrid loans the periodic cap refers to the maximum increase or decrease allowed at each adjustment period. The term is the life of a loan. Most often a loan will be amortized over the term repaying a portion of interest and principal at each period. Obtaining a mortgage in today’s market for a future purchase or refinance can be a complex ordeal. A top financing professional can be critical in getting your offer accepted or locking the lowest rates and fees with the most favorable terms. On this page are some questions you will want to ask, to make the best choice in choosing your residential or commercial lender or mortgage broker.